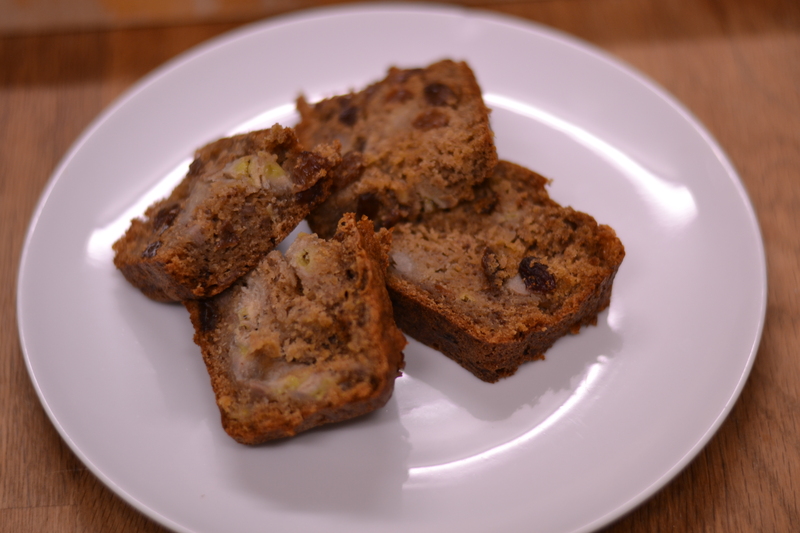 This banana cake was a recipe I got from a friend a few years back. 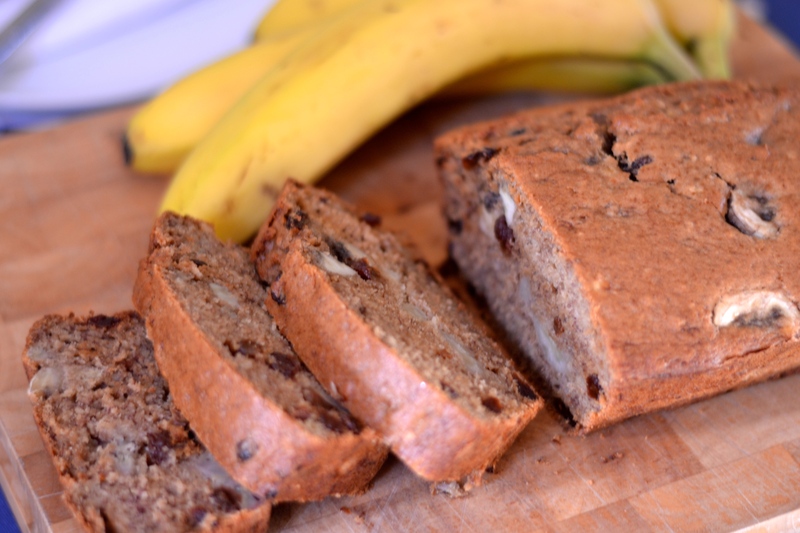 It has the right quantity of banana, the juicy sultanas to add texture, a lovely hint of cinnamon, and is sweet enough to satisfy any sweet tooth. 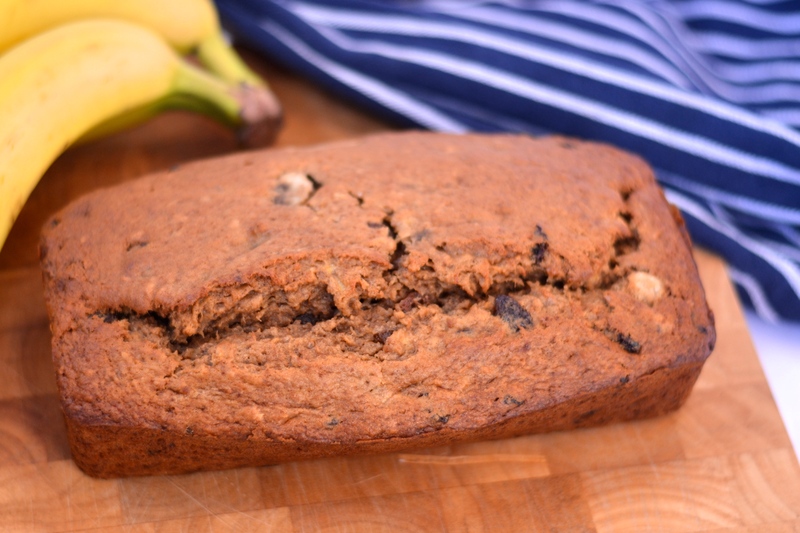 If you need to use up a few ageing bananas, this is a perfect solution. Note: I went through a stage of only using butter in my baking. I was doing the whole ‘parental guilt’ thing, worried about how much rubbish my kids eat, and thought I could at least bake with butter, then I’d be ‘filling them with goodness’. 1. 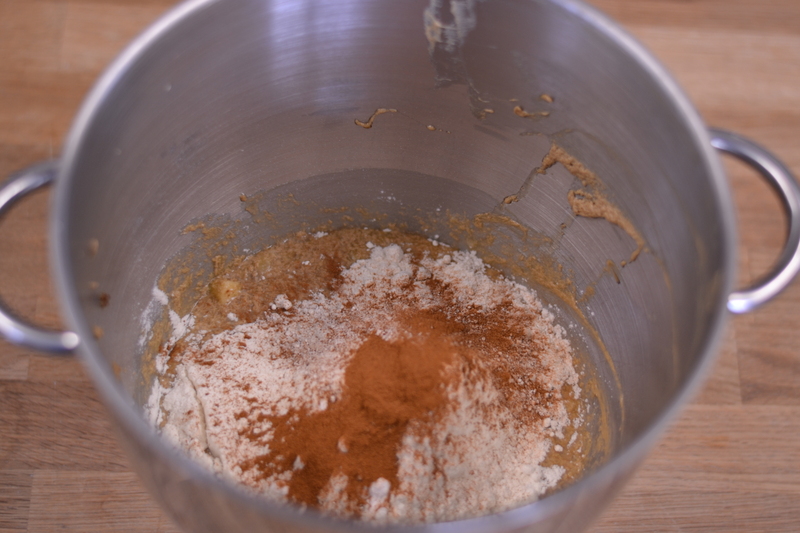 First off, cream together the ‘butter’ and sugar until the mixture has paled a bit. 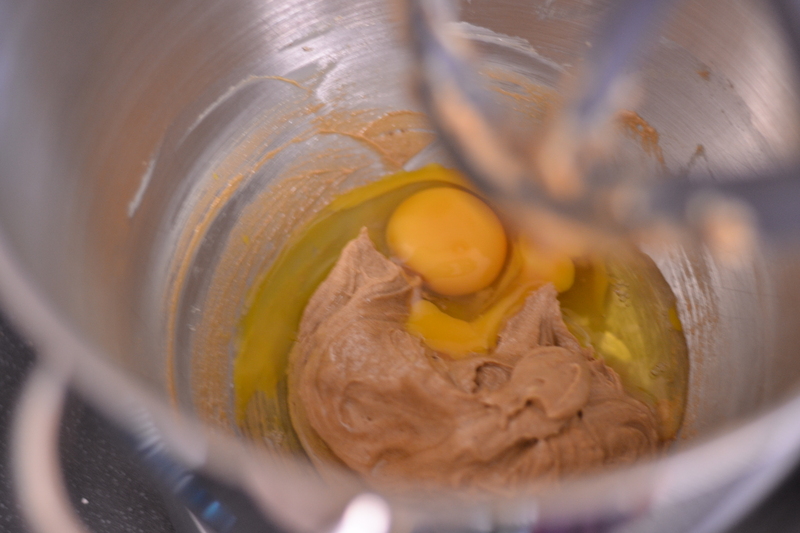 This adds air into your mixture, which will help to make the cake light, so creaming is an important step and one that shouldn’t be overlooked. I don’t kick the arse out of it, but I’ll give it a jolly good beating for about 4-5 minutes. 2. Add the eggs and give another good beating. 3. 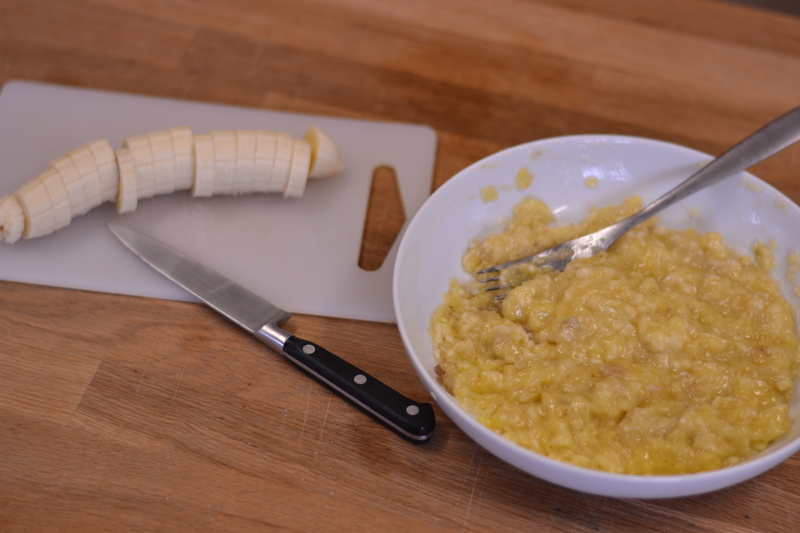 Mash three of the bananas and chop up one (in the pic I’d only sliced up the fourth banana, but do chop it up a wee bit more). Add this to the mixture and give it a good stir. 4. Add the dry ingredients (I read recently that sifting flour for cakes is basically a waste of time, so I’ve given that up) and fold into the mixture. Then add in the sultanas and mix. 5. 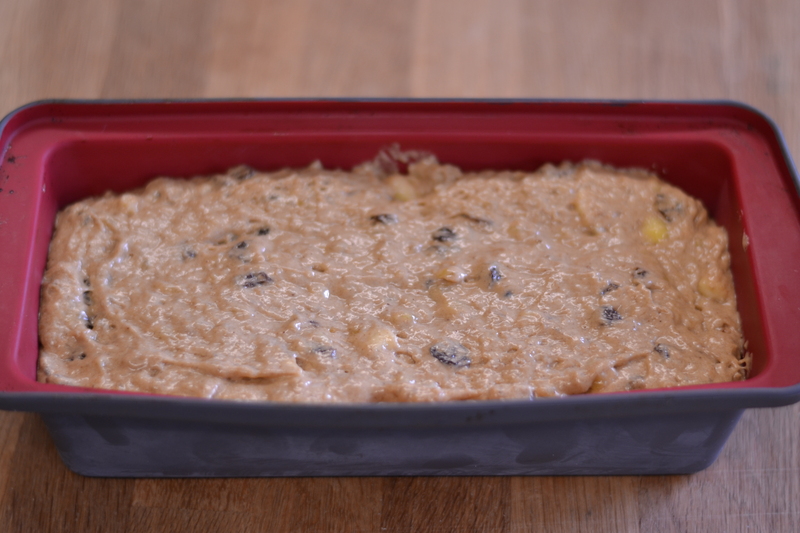 Pour the mixture into a greased, lined 2lb loaf tin. Note: I’ve got two tins, one is smaller than the second, but both pretend to be 2lb loaf tins. I put this mix into the smaller one and it was too full, so then had to pour into the second. Loaf tins can be tricky like that. 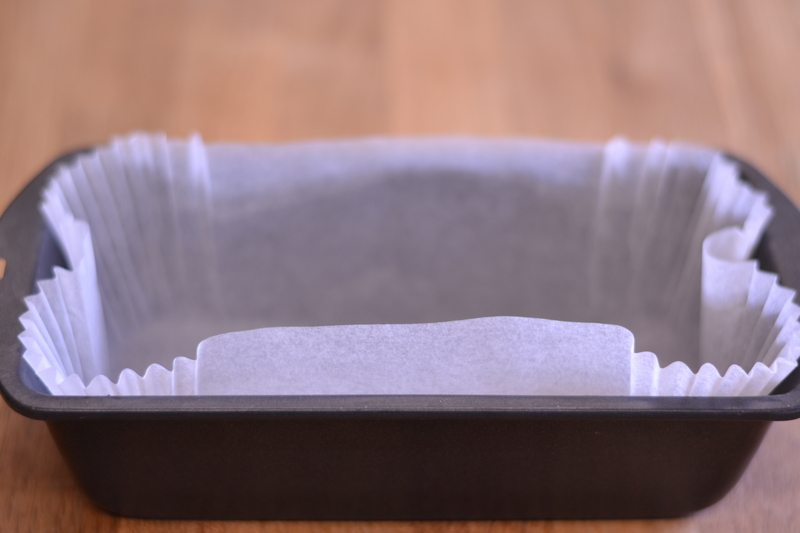 I didn’t grease either as I’ve got lovely loaf tin liners for the smaller one, and as the second is silicone, it doesn’t need to be greased (but I do place it on a baking tray to make it easier to take in and out of the oven). 6. Bake this in a preheated oven of 160C (fan) for about 1 hour, checking it from around 45 minutes that a skewer stuck in the middle comes out clean. Cool on a wire rack. Now, I have a love/hate relationship with loaf cakes. 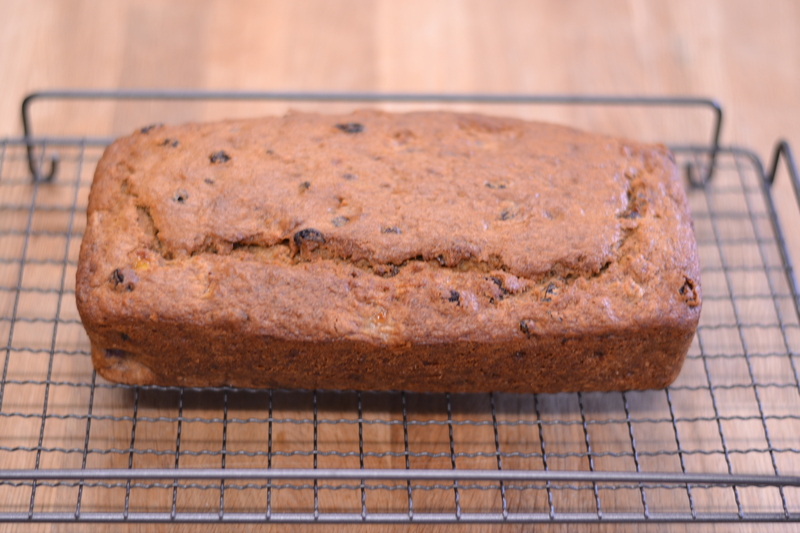 I love the ease – especially with the loaf tin liners, no greasing/lining, just make the batter, chuck it in the tin and bake. Simple. However. I find baking a loaf cake a bit of a pain. They take an age to cook. I’ve reduced the temp for this recipe and increased the cooking time. It means you don’t have to worry about the cake browning too much (and thus having to cover with foil), but it does take at least an hour (mine actually took 70 minutes) and it didn’t have a lovely crunchy crisp top. If you really want your cake to have the crunchy crisp top, cook it at 180C (fan) but you’ll probably have to cover it after about 40 minutes. And it’ll still probably take around an hour. 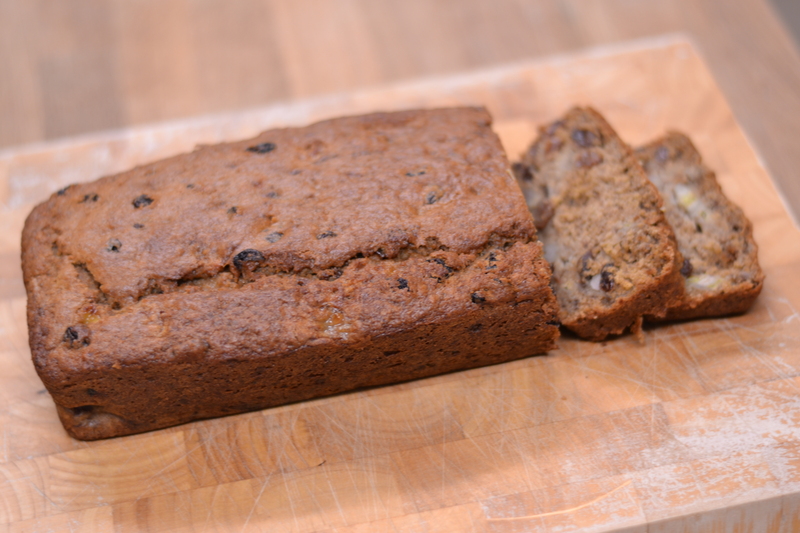 But as everyone’s ovens are different, baking is usually a bit of trial and error anyway. This doesn’t need anything added to it – it’s not bread, so it doesn’t need butter or anything. It’s lovely just as it is. I made this recipe this afternoon and I had a slice of it after dinner. I have to say it was absolutely delicious so moist and light. It was so quick and easy to make too. Elizabeth. 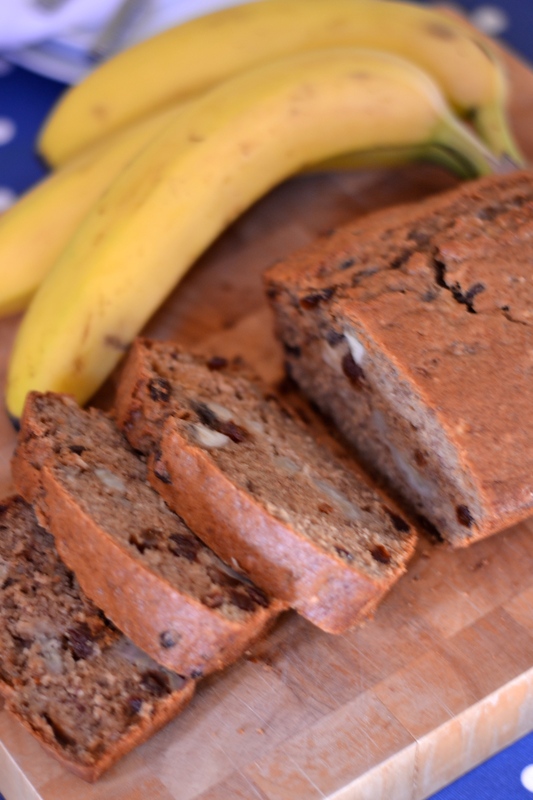 Now established as my all time favourite Banana Cake!